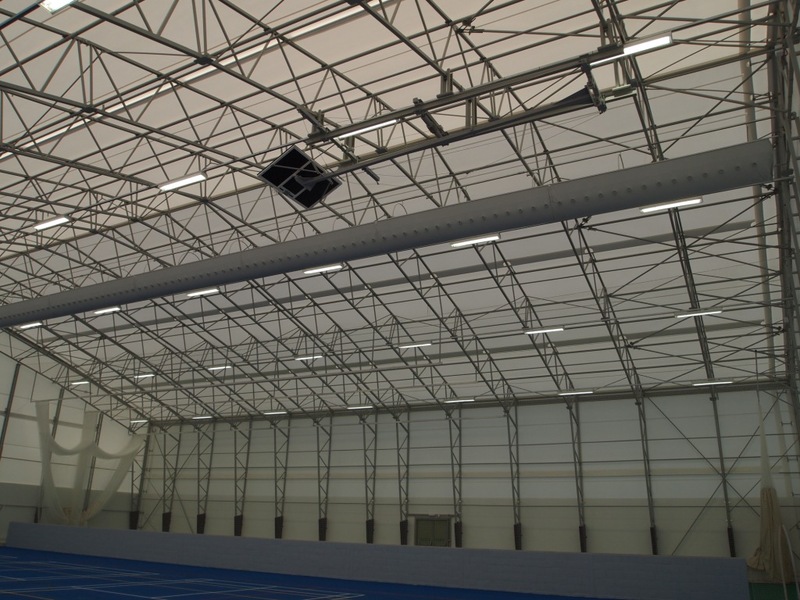 Extensive site preparations were carried out to reduce ground levels for the erection of an 1100 m2 multi-use sports barn. A reinforced concrete ring beam was constructed and the site levelled and prepared. The single span lattice steel trusses and framework were then installed. 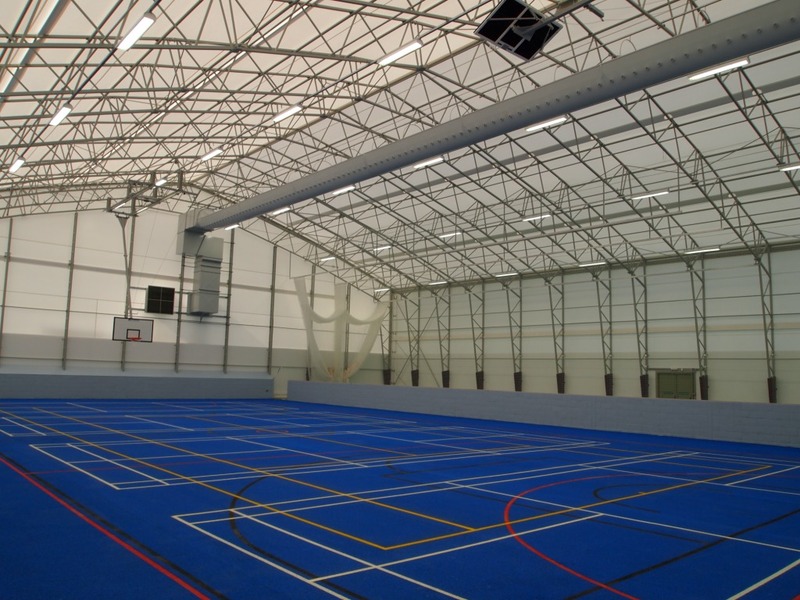 A high tension -membrane was then installed over the framework.This gave a fully covered area of 1100 m2 and a covered volume of 11000 ms. 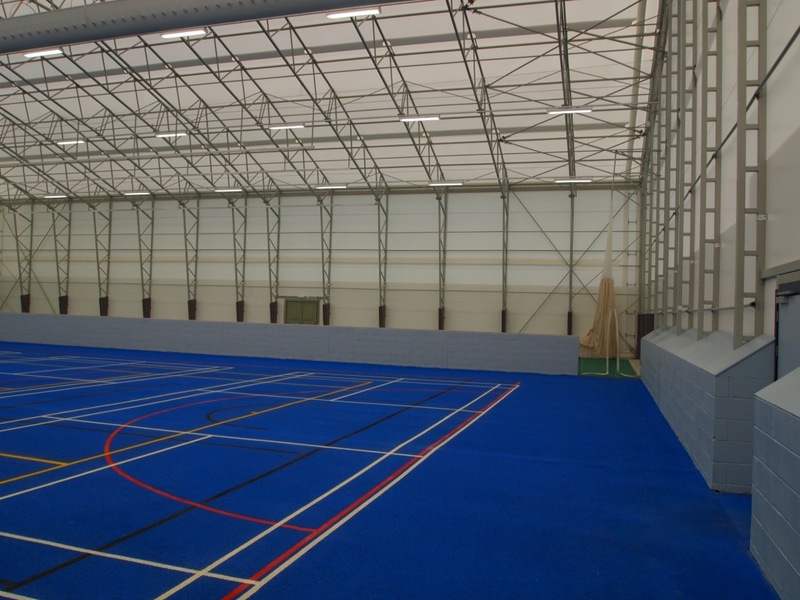 The internal area was split into 2 distinct areas.Area 1 is a 2 lane Cricket pitch complete with cricket nets and 2 different bounce surfaces.Area 2 is a fully tarmaced area marked out for basketball, netball, tennis and badminton. 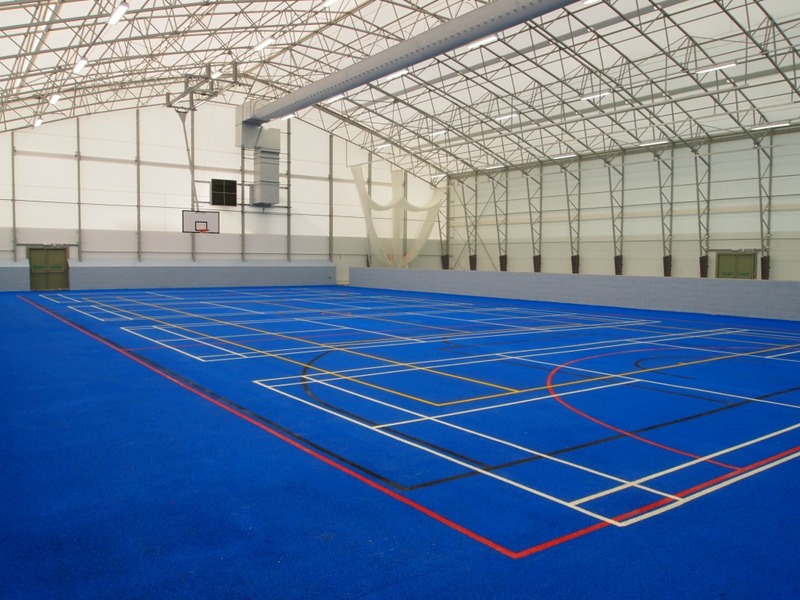 The building and areas all comply to Sport England’s current regulations.